Our apartment hotel building was built in 1909 and is an architectural monument of the City. 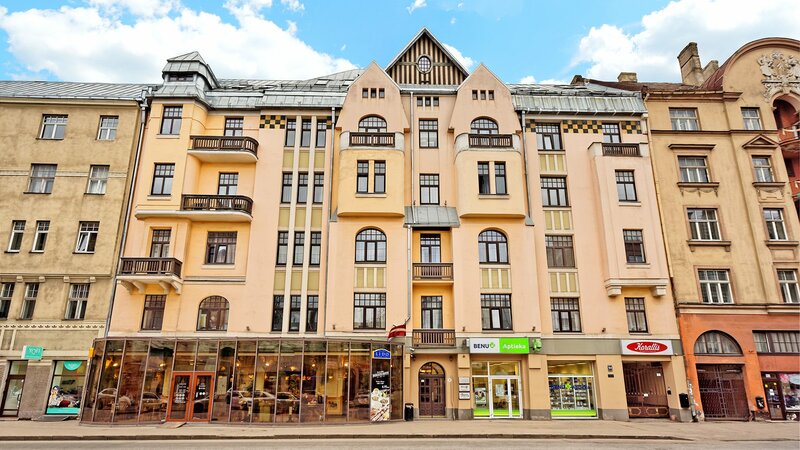 The apartments have been rented in different years by outstanding representatives of the Riga intellectual community and the city’s guests, journalists, writers, lawyers and historians. It is a house of joys and sorrows during the course of the century. This house has survived two wars and many governmental changes. There were aristocracy rooms, as well as communal apartments left over from Soviet times. Many of our guests tell stories about the time when their grandparents lived in this street. Some of them have lived in this very house which they visit now. It’s just like touching the historical origins of their families and the destinies of their loved ones. The “RIGAAPARTMENT GERTRUDA Apartments & Restaurant” building functions as a modern and flexible aparthotel and has done since its renovation in 2008. There is a comprehensive range of accommodation to suit all your needs and requirements. There are 24 comfortable apartments ranging from our studio, one-bedroom, two-bedroom and three-bedroom apartments and 19 rooms with shared facilities for those who want their own space but are happy to use common areas together. Each space is fully equipped with everything necessary for self-contained, convenient and self-sufficient accommodation. We have everything you need for a comfortable stay: comfortable beds, fully equipped kitchens, washing and ironing facilities, free TV and WiFi, weekly housekeeping and our caring staff are on hand for every moment you need help and support. Each apartment or room is fully cleaned and prepared for each guest before they arrive. In all the apartments there is a fine fusion of old and new. Most of the original, historic features have been preserved. The apartments and rooms are spacious as originally designed. The size of the apartments and rooms allows for a convenient and easy living experience. The ceiling height of over three meters, large mirrors in the entrance of the building and solid wood stair trims all contribute to the atmosphere and spirit of history yet the modern comfort and functionality expected in today’s apartment living is also provided. 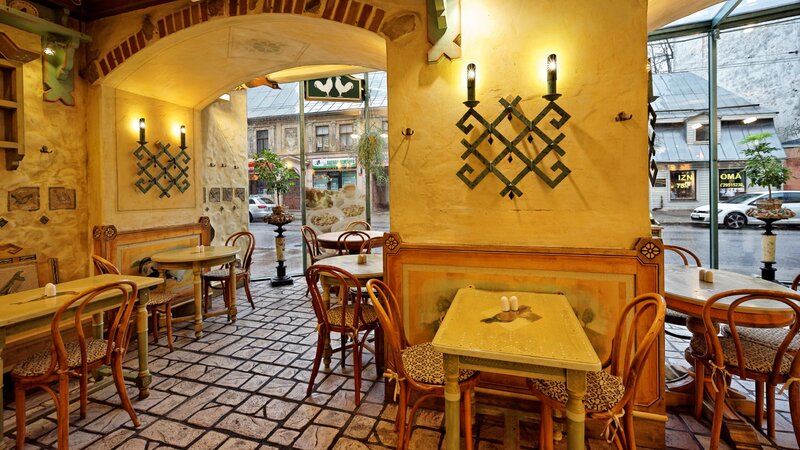 Gertrudes Street abounds in bureaus, law firms and offices, mixed with modern cafes and pizzerias, bakeries and small cosy restaurants to suit all tastes and culinary preferences. Multiple small private shops and workshops are combined with large trading shops. The street is full of life from morning until late at night. This street is loved not only by the citizens of Riga, but also by many tourists. Visitors to the City like to sit over a cup of coffee in the pause between shopping trips, or relax after a busy day over a pint of beer in pubs, where prices are much lower than in the Old Town. If you want to breathe a bit of history and feel the spirit of the City, be sure to come to us! All your questions and any issues will always be dealt with promptly. We are proud that our friendly staff is always on hand to help and support you in a friendly positive way. 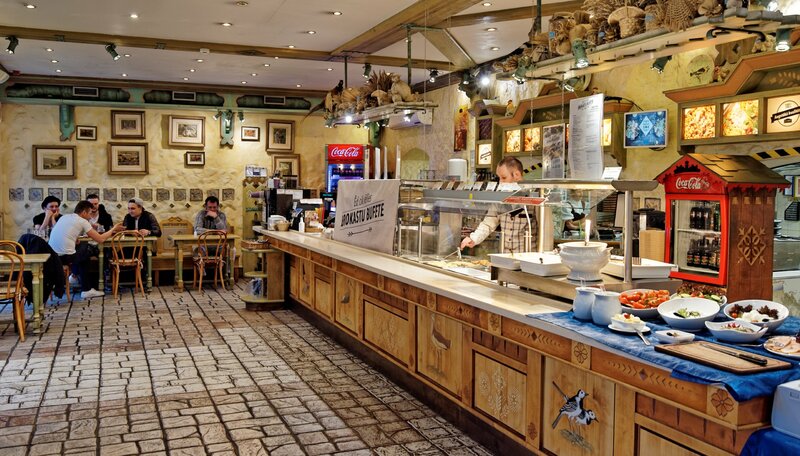 On the ground floor there is a cafe-bistro LIDO, where every day a buffet breakfast is served from 8 am. Tasty Latvian dishes are served all day until 11pm. You will enjoy it’s friendly and informal atmosphere and the prices will make you smile. “RIGAAPARTMENT GERTRUDA Apartments & Restaurant” is your key to opening the delights of our beautiful city. Your new experience, special events and fond memories are just waiting for you. The buffet breakfast is served every morning in the LIDO GERTRUDE restaurant at 54 Gertrudes street ground floor. Only for RIGAAPARTMENT GERTRUDA guests special price 4.45 EUR per person. Our standard check-in time is from 15:00 by local time. Apartment keys will be available for our guests at our 24/7 reception at RIGAAPARTMENT SONADA at 129 Gertrudes street, NOTE: main entrance from 5 Valmieras street! Check-outs are till 11:00. All times are local. At check-out time please drop keys into mail box “RIGAAPARTMENT GERTRUDA check-out” located in front elevator at ground floor. Departure after 11:00 is automatically considered as rent extension.